The most important asset of any organization is its Human Capital. To find the right quality of resources and to retain them is the biggest challenge for all organizations. 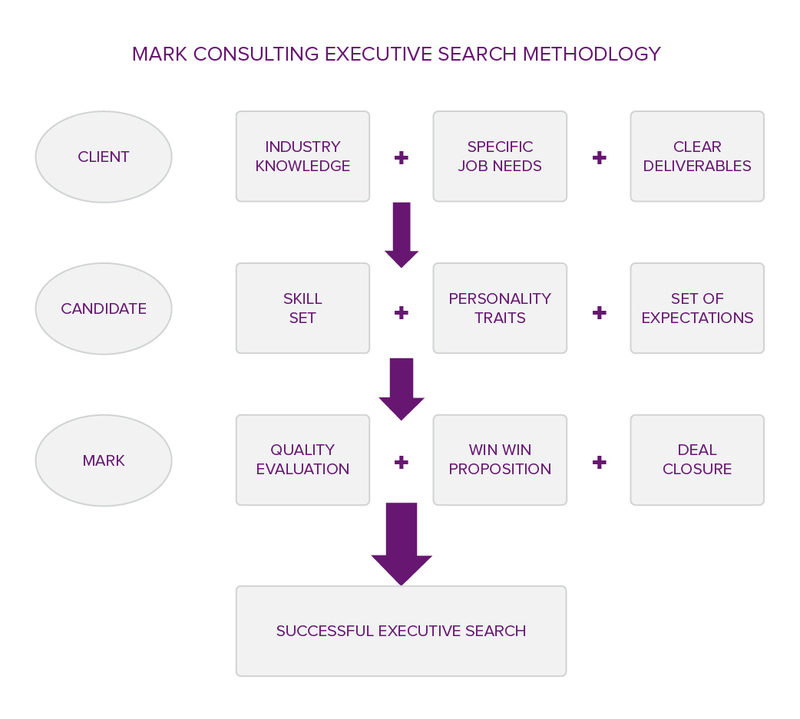 MARK provides quality executive search to its clients leveraging its international reach and excellent network in the industry. A qualified team reflecting diverse industrial and academic background results in better understanding of the assignment and timely delivery. Transparency in dealing with the clients and candidates is always kept at the forefront of our operations. With mutually beneficial contract terms and open communication, the assignment is closed in a highly professional manner. The team follow specific protocols in sharing the resumes with the client. Summary reports are provided matching the skill set of the candidate and client specific needs. Our list of satisfied clients reflect the success that we have achieved in a small period of time and we trust to grow this list by working in an astute and Ethical manner.